Oatmeal Raisin Cookies | Mom, How do I make this? O.K. I know this site is technically about my mom’s cooking advice, but when you need baking help, the truth is, it’s really my grandma – my dad’s mom – who knows best. Mom’s side of the family is more about cooking from your gut, grandma likes specifics. The woman is a baking genius, and she has piles and piles of recipes she’s collected and perfected. Her Christmas cookies are legendary, just wait for those. 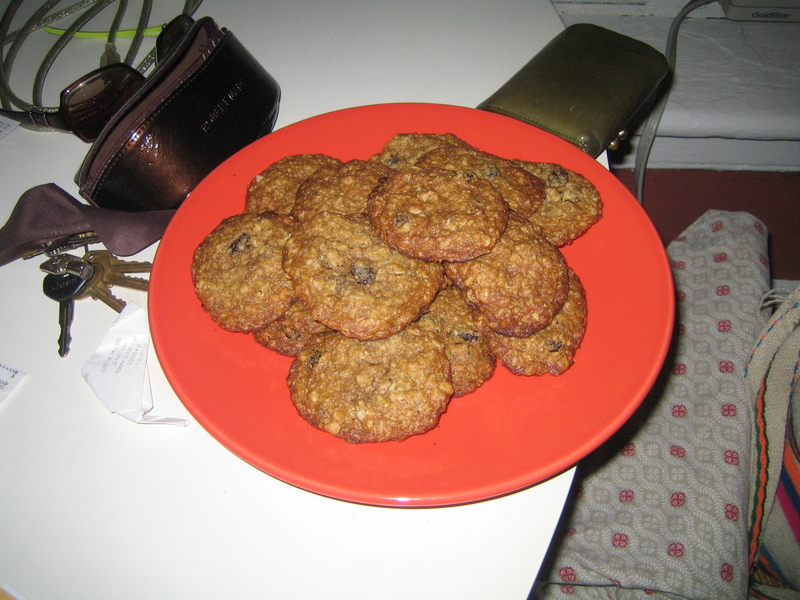 So anyway, here we are: I needed a recipe for oatmeal raisin cookies, and I called her. She dug around, called me back and said: “Now, these are really, really good. There are few simpler recipes I pulled out in case, but these are the ones I always make.” I jotted down a few notes and behold! Grandma Long’s oatmeal raisin cookies. 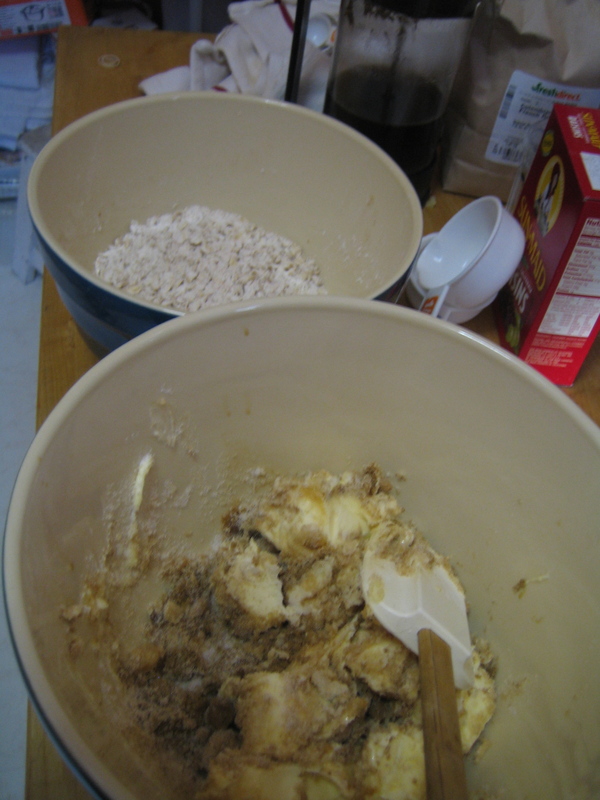 Mix the dry ingredients in one bowl, the sugar, butter, egg and vanilla in the other. 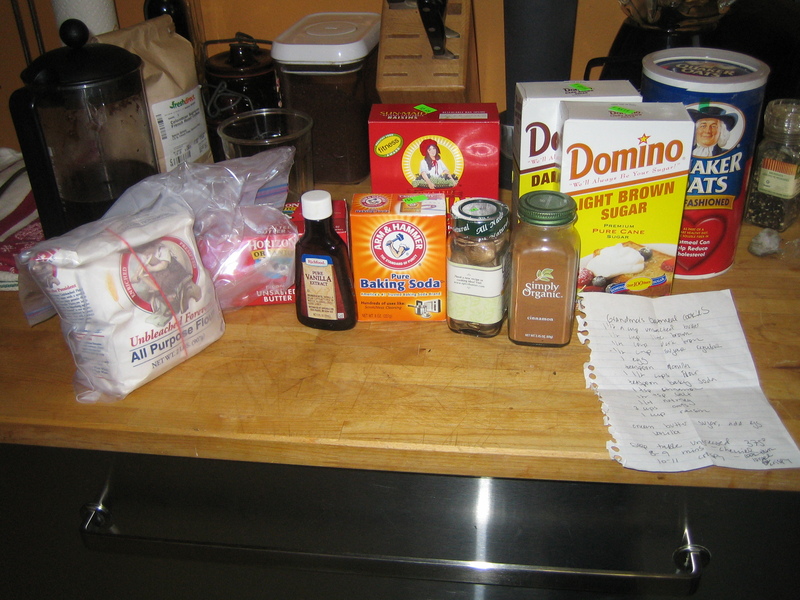 Combine them and add the raisins. FYI, my grandma likes chewier cookies.